Help me find my surfboard! 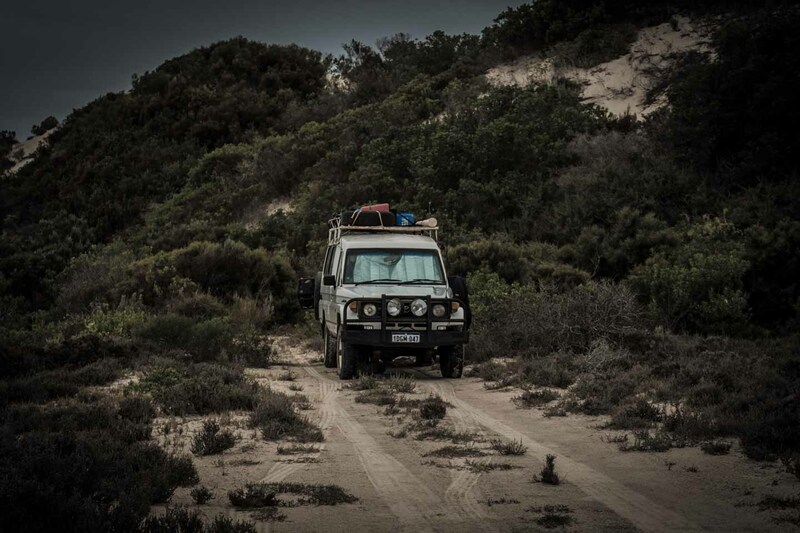 It came off the roof rack when we were leaving Cactus Beach heading for Ceduna, South Australia. I pretty quick realized it fell of the car but when we headed back it was already gone. There's not much traffic on the road and I am sure someone picked it up. It's a pretty unique board, so please, read the article, have a look at the pictures, share it and if anyone happens to come across my board, let me know! 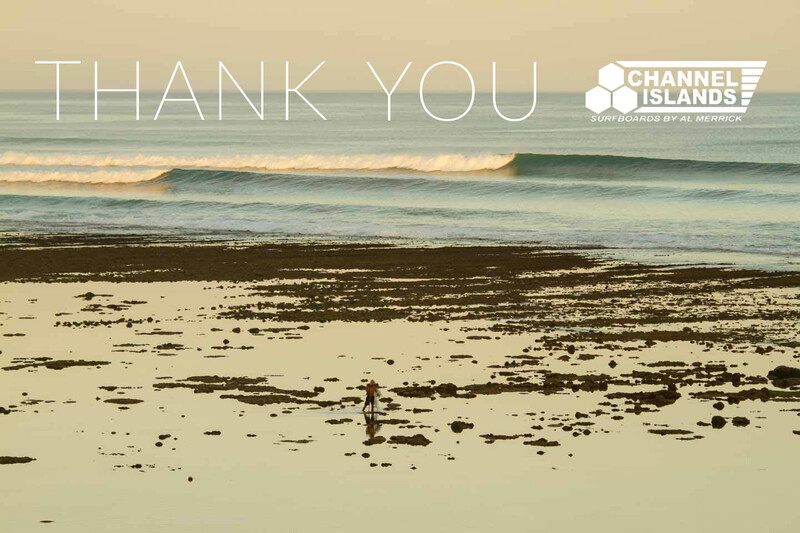 UPDATE 09 MAR 2015: There's still no sign of my surfboard but there are some other excellent news: No other than Channel Island Surfboards themselves made a donation to replace the surfboard! 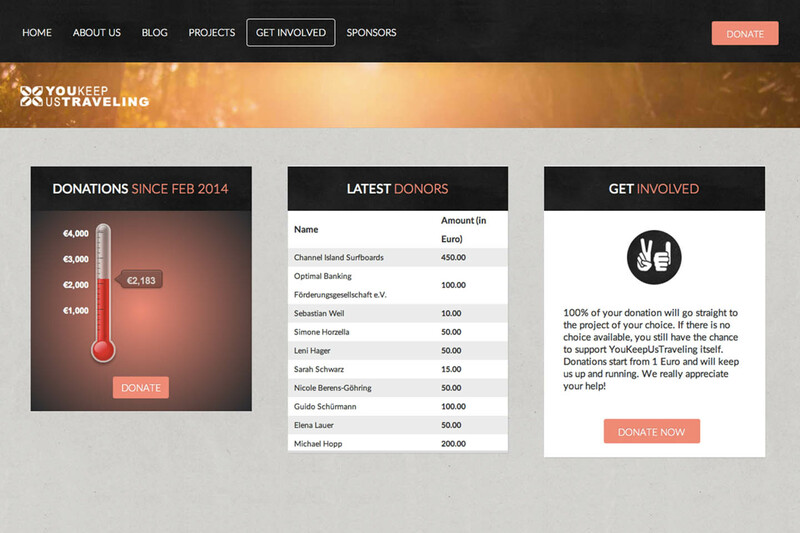 Trust me, I could not believe my eyes when I saw the donation coming up on our Get Involved page. What a great surprise! Thank you so much guys! Looks like we have a new sponsor. Read the full story below. 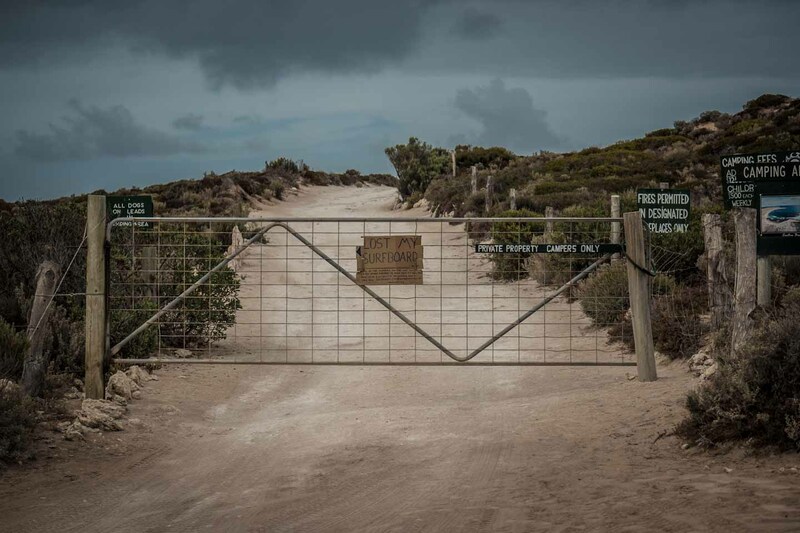 Cactus Beach is a great surf spot at the eastern end of the Nullarbor Plain in South Australia. 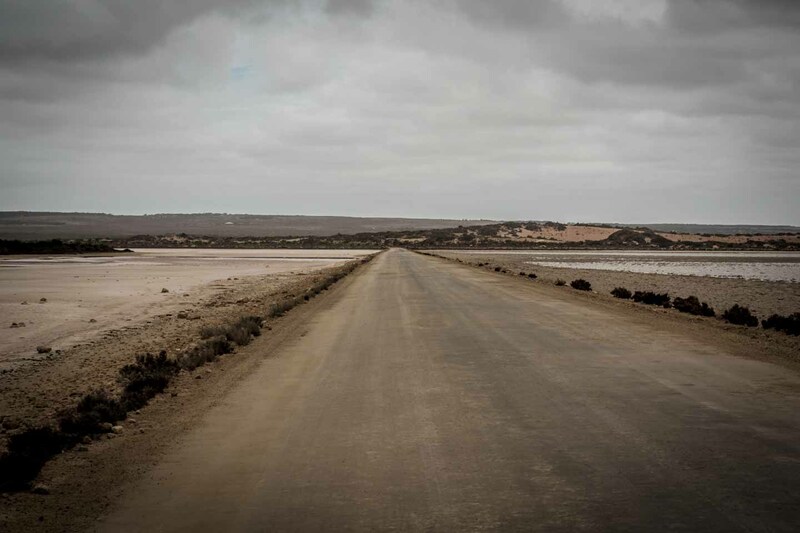 There's not much around and if you don't know what you are looking for, there's a big chance you'll miss the little dirt track leading from Ceduna to the beach. After a good surf session we were in a hurry to get back to Ceduna. It was already getting late and we wanted to cover the 20 km gravel road before it would get too dark. Back on the highway I had this funny feeling and wasn't too sure if I had tightened the straps on the roof rack. I stopped to have a look and the board was already gone. We did not hear or see it flying off. The fastest we went so far was probably 80km/h and on the dirt road we drove much slower. We went straight back to the dirt road, all the way to Cactus Beach. Unfortunately there was no sign of my surfboard and all I could do was to leave a message at the gate of the camp ground . We went back and forth and searched until late at night but without any success. I waved down every car but no one had seen anything. In the end we decide to sleep right next to the track with a sign on the road saying that I had lost my board. This way a potential finder would definitely see us and hopefully return my board. Right after a quick breakfast the next morning Anita discovered that the fruitless search on the hard track had left its mark. 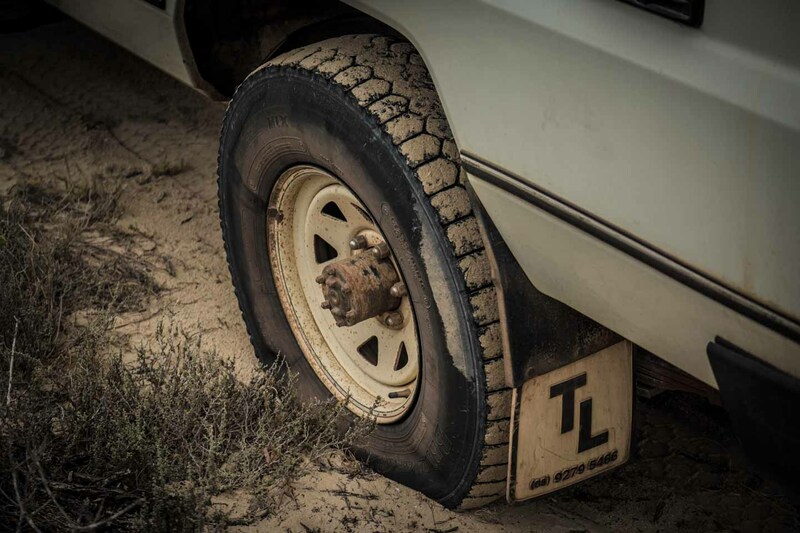 We had a flat tyre and were forced to use our last spare to make it back out to Ceduna. Misfortunes seem to never come singly! 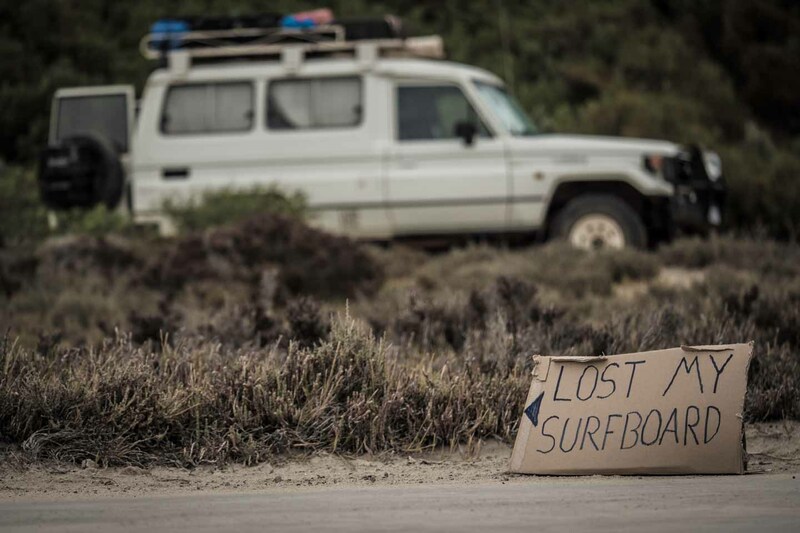 To go a little more into detail, I not only lost my surfboard but all my surf equipment. 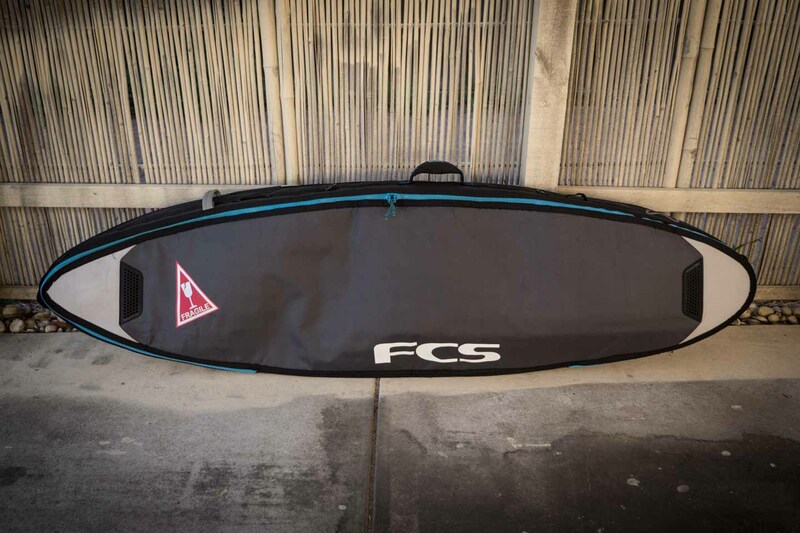 It was all stored in a 6'3'' FCS Doubel Travel Cover. In addition to my surfboard it was holding Anita's bodyboard and a few more things. The board bag has a little repair on the outer stitching on the top side. I fixed it with some black silicon. It's a small fix but will tell it's my bag. The most valuable thing is definitely my surfboard. Not only in terms of money but also emotionally. 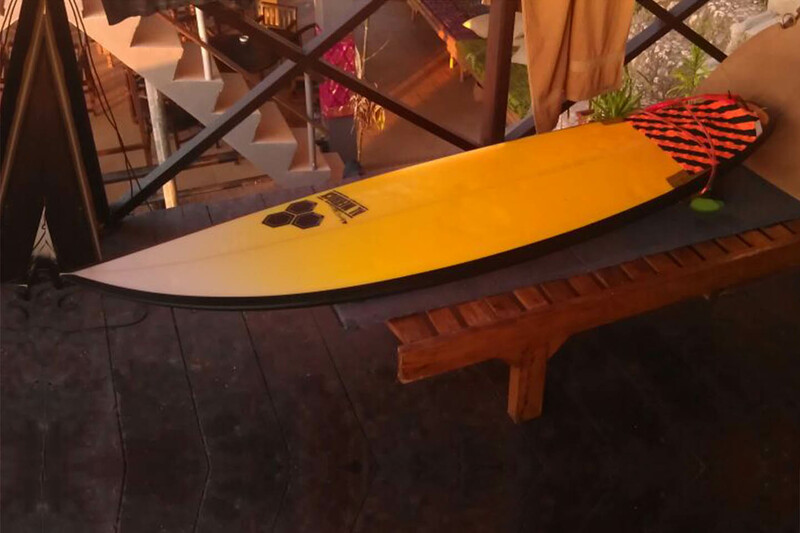 It's a 5'11'' custom shaped Al Merrick Rookie form Channel Island that I got in Bali. It was initially made for their team rider Tipi Jabrik but the factory did a regular glass job instead of an ultra light one and Tipi thought it would be to heavy. I just loved the shape and the feel. It's a little wider than a normal Rookie and has a flashy paint job. The tail pad is black orange stripped and I had an orange FCS 6' leash on it. The bottom of the board is probably it's most recognizable part. I hand-painted it with shark repellent stripes. Here's a Youtube Tutorial I did on exactly this board to explain how to do it. Further there is a little Rookie logo and a Channel Island light weight claim. 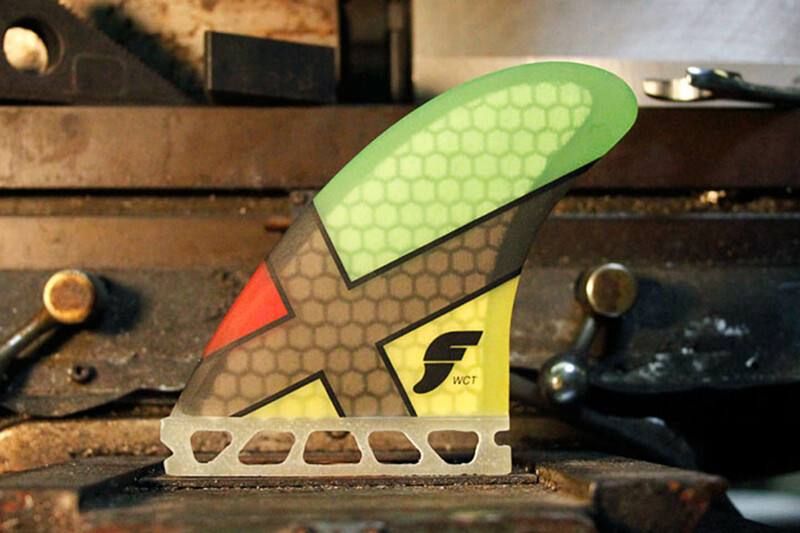 The board has a Future Fins thruster set up and single to double concave. When I lost it, it was equipped with 3 WCT Future Fins. The fins where in perfect condition and looked like new! All together it's a real unique board. The yellow faint and the black rails on the top are easy to tell and once you take a closer look you can tell the bottom has been painted. I applied a layer of clear coat but you can still see that it's been done by hand using a marker. Please, if you found the board, saw it or know anything about it, please contact me! Write me a mail or call me at 049 7054291 and I will get back to you as fast as I can. There are no hard feelings and I will even pay a reward. To anyone else: If you ever happen to find a board, leave it where it is, make it visible or take it to the next police station. 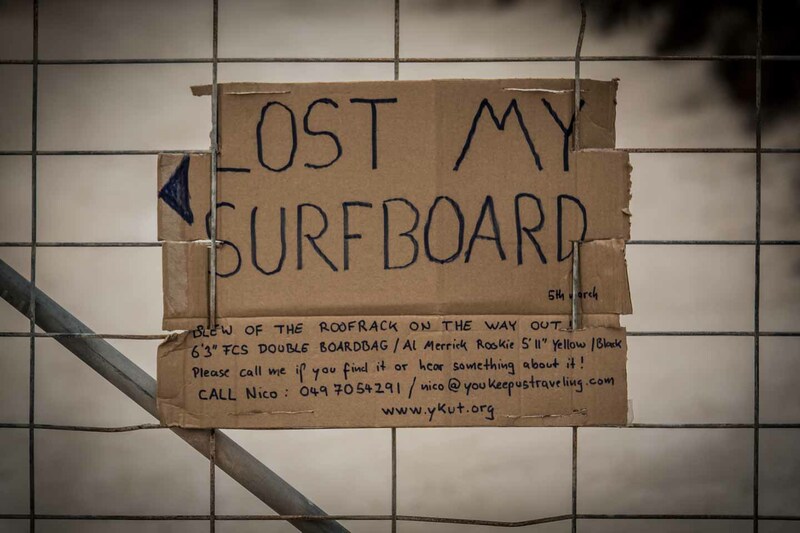 There is nothing more frustrating for a surfer than loosing his gear! 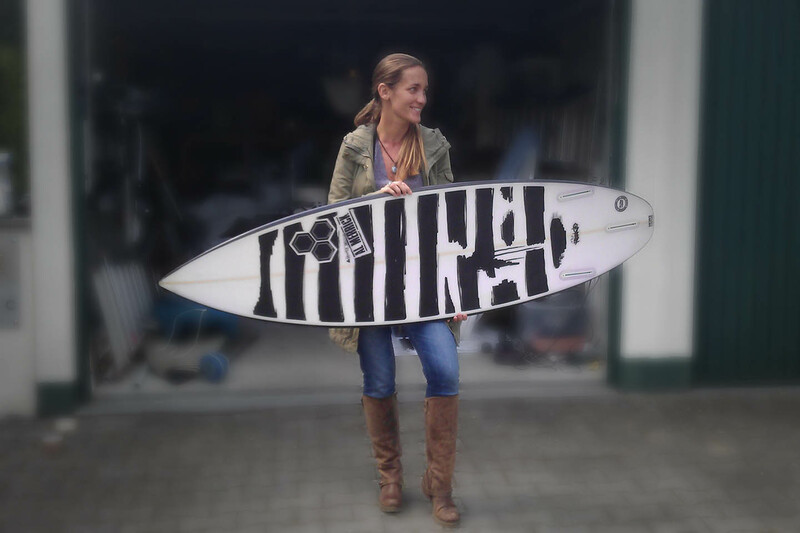 Please share this article and hopefully I will get my board back. I really appreciate your help! UPDATE 09 MAR 2015:You probably saw the great news further up the article. Here's how it all evolved. I had been in contact with Channel Island trying to figure out if my board had an ultra light blank. 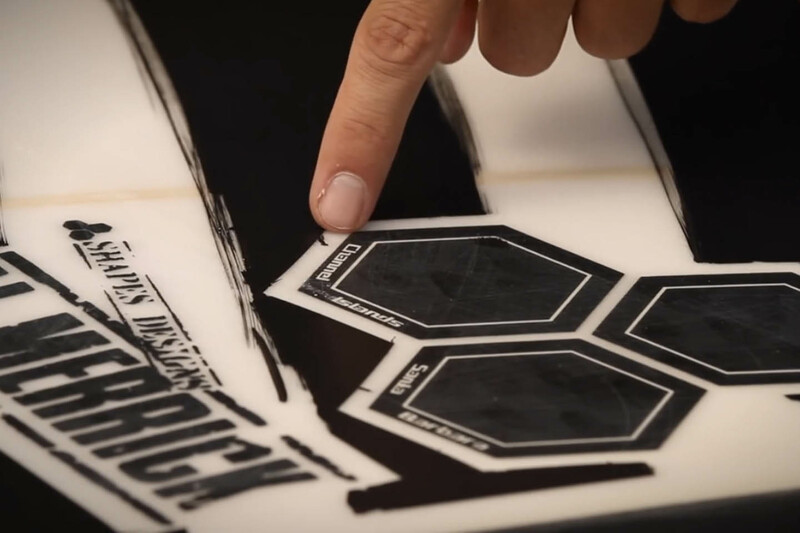 It's a custom shape initially made for their team rider Tipi Jabrik. In order to tell the difference they wanted me to bring the board in to have a look at it. Now that I lost the board I dropped them a line to let them know I would not be able to bring it in. Shortly after that our website got a donation with the exact same amount I paid for my board when I first bought it in Bali. It took me a moment to realize what had happened and I wrote a mail back to Channel Island Surfboards just to make sure this was for true. I have no idea why they came up with such an generous move to replace my loss. I guess companies don't act like this too often. Maybe it's the great feedback we are getting on this article or they liked what we are doing. For us, traveling on such a small budget, things like this really make a difference. Thank you so much guys. Nevertheless, I still love and hang on to the Al Merrick board I lost. It was such a perfect fit and emotional item to me, so please keep your eyes open. A big hug to everyone out there, life's been good today!